Headphones amplifier with highest transmission quality and compact dimensions to drive 2 headphones. 2. The different efficencies of headphones. Because of its high internal voltages, the low output impedance together with its selectable gain, this type of headphone amplifier is best suited to drive headphones with low- to high-Z loads (16 ... 600 ohms). The circuits are optimized for lowest noise and lowest distortions. The signal inputs are situated on the rearpanel. Additionally the unit offers a third input, provided e.g. for control room signals. The “Command”-input may be switched from Line- to Microphone sensitivity. The signal is fed equally to both stereo channels. Two rotary pots on the frontpanel are provided for level and balancing control, a Clip-LED warns is case of overload. G97 is equipped with two headphones outputs with 1/4" jacks which may be optimized for mono signals with a split-switch. With two switches the input channels may be configured freely to a third output. 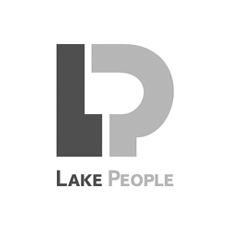 Related links to "Lake People Stereo Headphone Amplifier G107"
Customer evaluation for "Lake People Stereo Headphone Amplifier G107"